When one thinks of William Shakespeare, music is not what usually springs to mind – Shakespeare is, after all, famed for his use of language, not sound. Nonetheless, since the late 17th century, over 21,000 works of music have formally attributed inspiration to him, officially qualifying Shakespeare for the title of ‘Most Quoted Lyricist, Ever’. Shakespeare himself was not immune to the influence of music in his own work, and it is the intersection between these two: Shakespeare, and music, which formed the basis of the Oxford Lieder Festival event ‘Shakespeare & Music’, held on Wednesday, October 21st. Themed ‘Singing Words: Poets and Their Songs’, it was only fitting that England’s “National Poet” was in the spotlight at this year’s festival. The choice to focus on Shakespeare and music also continues an international trend on the subject matter: the 2016 World Shakespeare Congress is featuring this same topic; it was also discussed at this year’s British Graduate Shakespeare Conference. The Lieder festival’s exploration began with a talk by Professor Christopher R. Wilson, entitled ‘Shakespeare in English Song: Parry to Finzi’, where Wilson (an internationally renowned Shakespeare music scholar, from the University of Hull) traced the beginnings of Shakespeare’s influence upon English music, beginning with the composer Hubert Parry (1848 – 1918), and ending with Gerald Finzi (1901 – 1956). Despite not being considered particularly extraordinary by contemporary standards, appreciation of Shakespeare’s literary worth has continued to expand: by the 19th century, his words were appraised as being of a ‘serious standard’, while the man responsible was promoted to an unforeseen level of fame. It was in this context that Hubert Parry began to turn to Shakespeare for inspiration for his work. Although the eloquence of Shakespeare’s language proved influential, Parry’s intention, in attributing Shakespeare with the honour of lyrical muse, was to establish a “serious” English songwriting tradition, one which embraced England’s cultural history. 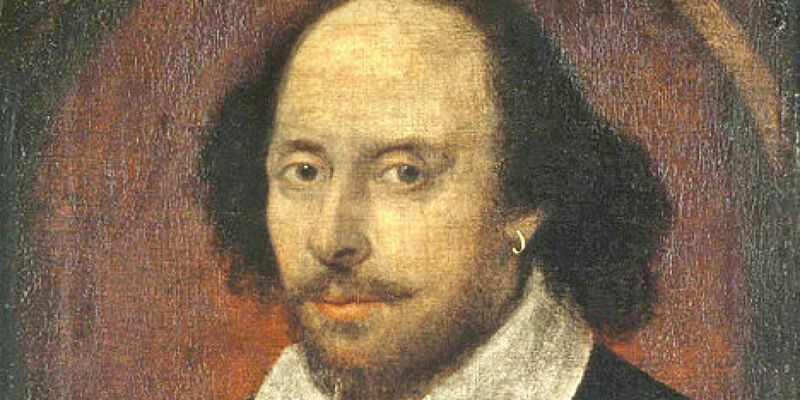 He considered the language of Shakespeare a means by which to achieve this, for it pays apt ‘homage [to] England’s unique aphorisms.’ In 1874, he published A Garland of Shakespearean and Other Old-fashioned Songs, inspired by Shakespeare’s sonnets, and (Wilson posited) the sounds of Schumann and Brahms. A Garland was written in a ‘mock-archaic’ style, but there is a contradiction in Parry’s ardent nationalism: he was so determined to have his music taken ‘seriously’ that he insisted upon having the music printed in German, and adapted to English. Thanks to the eminence of Beethoven, Mozart, Mendelssohn, and Bach, Austria and Germany were considered the musical centre of the Western world, with composers from across Europe travelling there to receive their musical education. The renewed interest in Shakespeare was part of a British challenge to this cultural hegemony, but composers still had to balance enthusiasm for their newfound literary champion with the perception that the German-speaking world produced the most innovative music. A number of other composers followed Parry’s lead, including Roger Quilter, who Wilson suggested allowed his ‘middle-class prudery’ to thwart his attempts to musically represent Shakespeare’s tragedies. Wilson’s final choice of composer, Finzi, is commonly held to have created one of the ‘finest 21st century settings of Shakespeare.’ Finzi is especially known for Let us Garlands bring (1942), a compilation of five short piano (or string) pieces, each accompanied by a baritone voice, each addressing love and the passage of time, and each inspired by one of Shakespeare’s first 12 sonnets. Perhaps the most noted of Finzi’s works, Wilson made mention of Finzi’s philosophy when seeking inspiration for his compositions: ‘the first and last thing is that a composer is moved by a poem, [and that] he wants to share this’ – Let us Garlands bring, then, is Finzi’s attempt to share, and thus further appreciation of, the articulacy of Shakespeare and his words. The afternoon concluded with a shorter talk by Dr Simon Smith (Early Career Fellow, Faculty of English, Queen’s College, University of Oxford), who discussed the influence of music upon the writing and performance of Shakespeare’s works. Citing examples such as the First Book of Songs or Ayres (1600), a song originally conceived by Robert Jones, Smith made note of how such pieces were utilised by Shakespeare to add depth and dimension to his own work: First Book of Songs and Ayres was rewritten as a duet by Shakespeare, and inserted into Twelfth Night. While appreciation for Shakespeare’s influence upon music was not difficult to find during the course of this afternoon, not in the least due to the clear passion and impressive knowledge of both Professor Wilson and Dr Smith, it was the short recital of Finzi’s Let us Garland brings, performed in the Weston Library’s foyer, with Sholto Kynoch (the Oxford Lieder Festival’s Artistic Director) on the piano, accompanied by the dulcet baritones of George Humphreys, where the ‘vernicular lightness’ of Shakespeare’s lyrics became most apparent. On paper, the emotional nuances inherent in Shakespeare’s lyrics are discernible, but, when backed by the musical accompaniment of a piano and voice, as these become not only clear, but empathetically felt. Oxford Lieder Festival runs until Saturday 31st October: for more information, tickets, and future events, please visit their website.